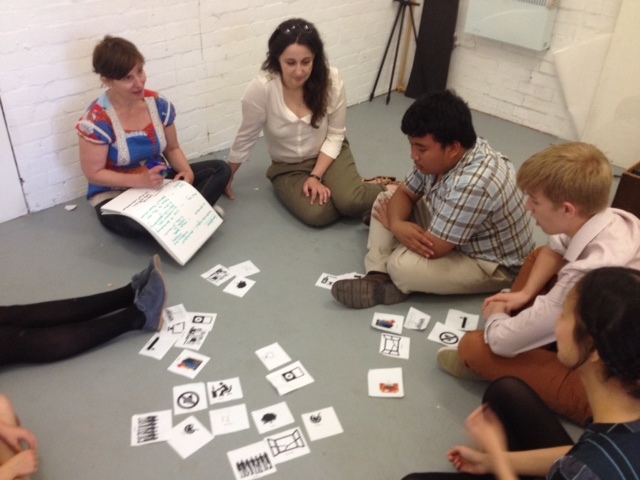 A few weeks ago we hosted a workshop for 4 work experience students in our studio at Artwork Atelier. The session built on the ideas developed so far in the Studio Thinking blog, exploring the theme of workspaces. The participants were encouraged to think about the conditions that they preferred working in and how they could go about creating personalised working environments in order to be creative. To start with the group were asked to think about the studio space at the Atelier, experimenting with the ways the space could be used. This involved finding different ways of filling the space or travelling across it. As a warm up exercise this was great as it got everyone moving and thinking differently about their environments. We then moved on to considering the surroundings we liked to work in. This involved each person picking three conditions they needed to be their most creative, and three that they found challenging to work with. Options ranged from the size and lightness of the room, preferences for company or isolation, and the need for outside stimuli or inspiration. What was interesting was that the conditions that one person could identify as being ideal could be someone else’s nightmare! After looking at some famous artist studios from the blog for inspiration we got to work adapting the studio at Artwork Atelier to suit our needs. Starting with masking tape, each of the students changed the space to suit there needs. It was interesting to see the variety of ideas they came up with. Some used the tape to mark where they needed to put furniture, whilst others used it to make patterns on the walls, create inspiring words or change the shape of the room. Once we had experimented with masking tape it was time to find furniture to work with, and the group sourced a number of objects from around the site, to build their ideal creative space. The session showed that creativity is a subjective experience, and that an individual’s preferences for their working environment are highly personal. 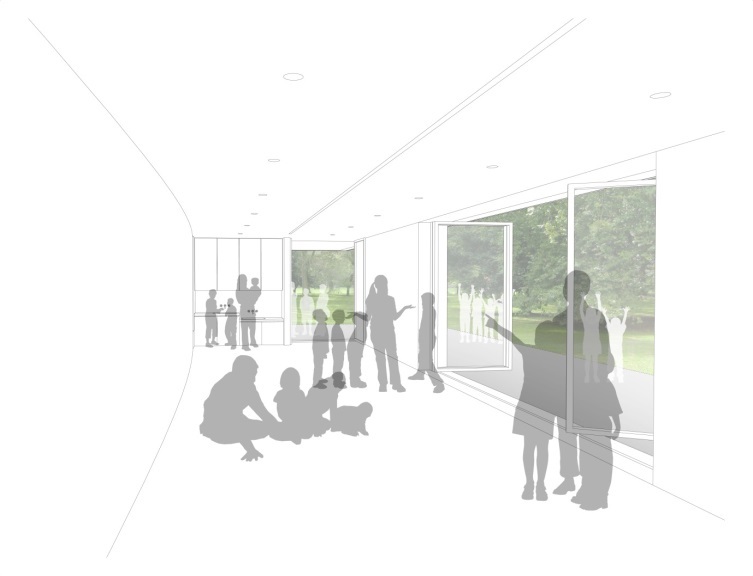 As the Whitworth’s Learning and Engagement team get closer to moving into the Clore Learning Studio, it is helpful to think of the ways in which they can adapt the space to suit the needs of a variety of people.